Allergies can cause a variety of symptoms, including runny nose, itchy eyes, sinus congestion and difficulty breathing. An allergic reaction is the result of an over-active immune system in response to a substance the body sees as a foreign invader. Examples of common allergens include dust, mold, pet dander and pollen. From a yogic perspective, allergies represent an issue with the sixth chakra, or energy center, in the body. The sixth chakra includes the eyes, nose and ears. Yoga for allergies postures are designed to stimulate the energy of the sixth chakra, open up the airways, and improve breathing. Kapalabhati, or “crown brightener breath” is a yogic breathing technique used to cleanse the entire respiratory system. It helps to remove debris and pathogens from the lungs and respiratory tract. 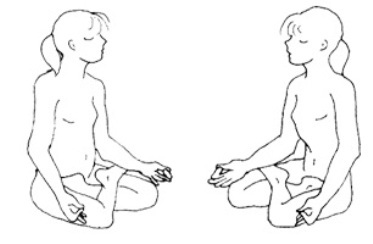 Begin sitting upright in a comfortable cross-legged position. Relax your shoulders and rest your hands on your lap. Close your eyes and exhale all your air. Inhale deeply, then quickly expel all the air from the lungs, squeezing the diaphragm tightly. Next, inhale quickly, filling the abdomen with air and once again quickly expel all the air. Repeat these short, quick breaths while pumping the stomach muscles like a billow. Perform 20 to 30 expulsions. Rest, then repeat the whole process two or three more times. 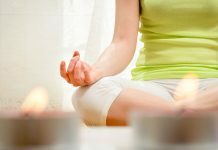 Surya Bhedana, also known as single-nostril breath, is another yogic breathing technique that is excellent for seasonal allergies and rhinitis. It helps to clear nasal passages and improve overall breathing. Again, sit upright in a comfortable cross-legged position, arms relaxed at your sides, hands on your lap. Press the thumb of the right hand on the outside of the right nostril. Exhale through the left nostril, then inhale deeply through the same side for four seconds. Using your ring finger and thumb, pinch both nostrils shut and hold the breath for 16 seconds. Release the thumb only and exhale through the right nostril for eight seconds. Inhale through the same side, again for four seconds, then pinch both nostrils shut and hold the breath for 16 seconds. Release the ring finger and exhale for eight seconds through the opposite side. This is one round. Repeat the entire process two or three more times until breathing feels equal in both nostrils. Use this exercise to help clear nasal passages any time you feel congested. Halasana, or more commonly – plow pose, is an inversion pose. Inversions are used in yoga to stimulate the energy of the fifth, sixth and seventh chakras, which include the throat, mouth, nose, eyes, ears and brain. Begin lying flat on your back on the mat. Inhale and raise both legs up toward the ceiling, supporting your low back with your hands. Exhale, and drop both legs together behind your back, touching the floor with your toes if possible. This is a deep, reverse forward bend. Hold this pose for several deep breaths. If you are able to touch both toes on the floor behind you, bring your arms together down onto the mat and interlace your fingers. For an easier variation of plow pose, open the legs like a pair of scissors, one leg behind you with the toe on the floor, and one leg extending up toward the ceiling. Hold for several breaths, then reverse the position of the legs. Continue to support the low back with your hands. To finish, gently roll back down onto the mat and lie flat for up to one minute. From plow pose, you can move right into sarvangasana, or shoulder stand. 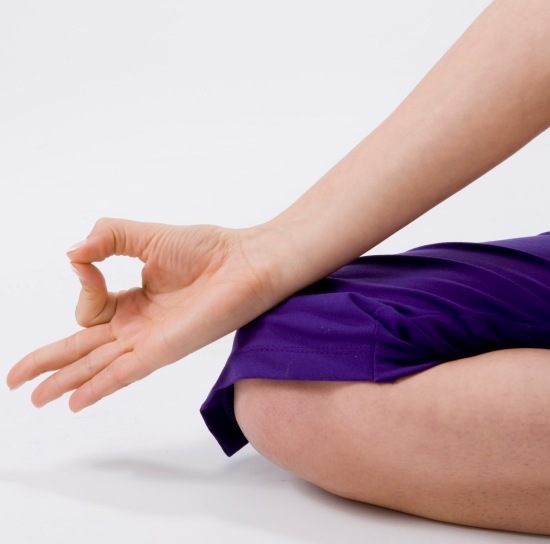 Like plow pose, it is designed to stimulate the fifth, sixth and seventh chakras. Stimulating energy in the throat, mouth, nose and eyes helps to both combat and relieve allergy symptoms. From plow, bring your hands back to your lower back for support. Extend both legs up in the air, feet together. Your body weight should be on the shoulders, upper arms and upper back, not the neck and head. Reach for the ceiling with your feet, making your legs as straight as possible. Hold this pose for several deep breaths, up to one minute, then gently roll back down onto the mat. Sirsana is a simple headstand. As with other inversion poses, it stimulates the fifth, sixth and seventh chakras, addressing symptoms in that area of the body. But Sirsana is easier said than done. Begin in a kneeling position on the mat. You may want to use a folded blanket under the head for comfort. Come down onto the elbows and forearms, interlacing your fingers and making a tripod with your lower arms and hands. Rest the crown of your head in your hands, the front of the head resting on either the blanket or the mat. Push your hips up toward the ceiling and begin walking your feet closer to your body. Extend the legs, one at a time, into the air. Use the muscles in your torso to keep the body stable. You may also want to try practicing headstand with your back to a wall for added support. Stay in headstand for up to one minute, then come down slowly, one leg at a time, and lie down on the mat for one or two minutes. Uttanasana, also known as standing forward bend, is a simple inversion that not only stimulates the fifth, sixth and seventh chakras, but also helps to relieve mental stress as well as tension in the neck and shoulders. Begin standing upright in mountain pose, the shoulders back and hands at your sides. Inhale and reach up overhead, palms together. Exhale, and reach for the floor, feet or ankles. Use your hands for support. Try to straighten the legs, but be sure not to lock the knees. Breathe deeply and hold the pose for up to one minute. To come out of uttanasana, gently roll up, one vertebra at a time. Following this session of yoga for allergies, spend one or two minutes in corpse pose for final relaxation. Lie flat on your back, hands at your sides, legs open about hip width apart. Close your eyes and just breathe deeply, allowing all the muscles in your body to relax. 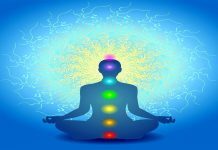 Kriya Yoga To Overcome Psychological And Mental Problems!